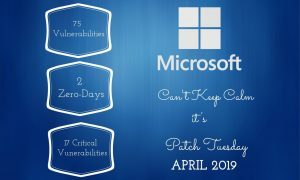 Microsoft is back with its monthly set of security updates, addressing a total of 75 vulnerabilities with 17 rated critical and 58 rated important. More than 30 vulnerabilities can lead to Remote Code Execution. 2 CVEs are being exploited in the wild and need immediate attention. There are no CVEs which were publicly disclosed. Repeating the pattern from March, CVE-2019-0803 and CVE-2019-0859 are two Win32k elevation of privilege vulnerabilities which are being actively exploited in the wild. These two bugs were reported by Alibaba Cloud Intelligence Security Team and Kaspersky Labs respectively. The flaws exist due to improper handling of objects in the memory by the Win32k component in Windows. An attacker who has logged on to the system can run arbitrary code in kernel mode on successful exploitation and eventually install programs, modify data or create new accounts with full user rights. Users running Windows 10, Windows 7, Windows 8.1, Windows RT 8.1, Windows Server 2008, Windows Server 2012, Windows Server 2012 R2, Windows Server 2016, Windows Server 2019 are advised to update their machines immediately. 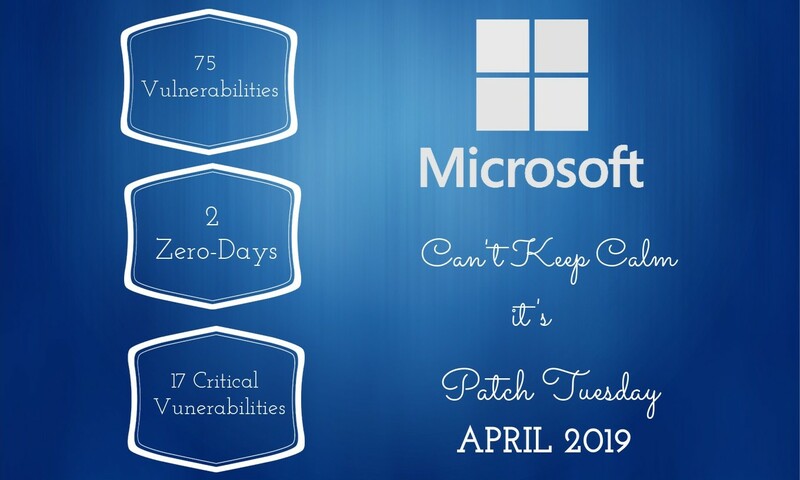 There are 17 critical vulnerabilities reported this month including one Latest Servicing Stack Update. 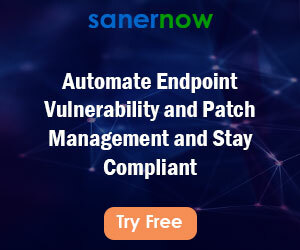 Eight Memory Corruption vulnerabilties are affecting Microsoft Scripting Engine and five Remote Code Excecution vulnerabilities are affecting Microsoft XML. Other applications affected by critical vulnerabilities include Adobe Flash Player, GDI+, Windows IOleCvt Interface and Windows SMB Server. CVE-2019-0829, CVE-2019-0812, CVE-2019-0806, CVE-2019-0861, CVE-2019-0860 and CVE-2019-0810 are similar vulnerabilities that exist in the way Chakra scripting engine handles the objects in memory in Microsoft Edge. An attacker can execute arbitrary code in the context of the current user and also take control of the affected system on successful exploitation. An attacker can convince a user into visiting malicious websites to exploit the underlying vulnerability. Microsoft predicts that these vulnerabilities are highly exploitable. CVE-2019-0793 is another vulnerability that is more likely to be exploited. This is a remote code execution vulnerability in Microsoft XML. A user can be convinced into visiting compromised websites by clicking on malicious links sent through emails or instant messaging applications. This gives a remote attacker a way to take full control of the system by running a malicious code.